Gambon is set to play Howard Mollison, owner of the Padford delicatessen, with McKenzie as his wife Shirley. Kinnear is to play Barry Fairbrother, Coronation Street’s Keeley Forsyth is playing Terry Weedon, with newcomer Abigail Lawrie as her daughter Krystal. Howard Mollison’s son Miles will be played by W1A’s Rufus Jones, and his wife Samantha will be played by Hawes. The three-part BBC miniseries is being produced in partnership with HBO – which means that’s likely where it will air when it comes to America – has no announced airdate as yet, but filming is set to get underway in July. Plus, a fair amount of other roles are still to be cast (there are a lot of characters in this book), but considering the talent that’s already lined up to appear in this, it seems we can rest easy on that score. Given that there are around 10 more major players that appear in this story in one way or another, the odds also seem pretty good that a few more names we recognize might show up here as well. 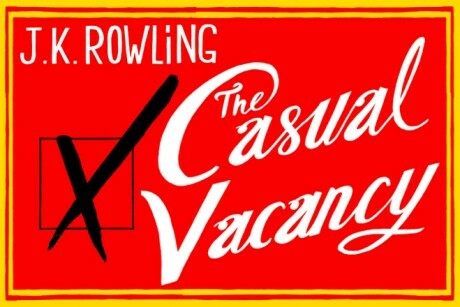 Have any of you read The Casual Vacancy? Do you think it’ll make an interesting miniseries?